Just say the words out loud and feel how they roll off the tongue: luxury island. A vacation to “the islands” means different things to different people. Your islands may be the Keys, they may be the Caribbean. 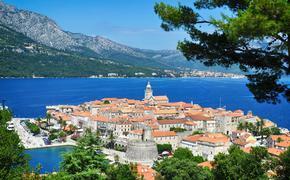 But when you picture a Luxury Island, your brain does a whole different sort of backflip. Immediately you’re thinking of someplace exotic, someplace secluded. Some bulwark set far out in the ocean where the detritus of modern civilization washes up uselessly on the sand and is ignored like so much flotsam. Or maybe you’re just picturing a day spent riding elephants or observing muy thai fighting tournaments before retiring to a plush secluded resort where you’re pampered like the royalty you are. 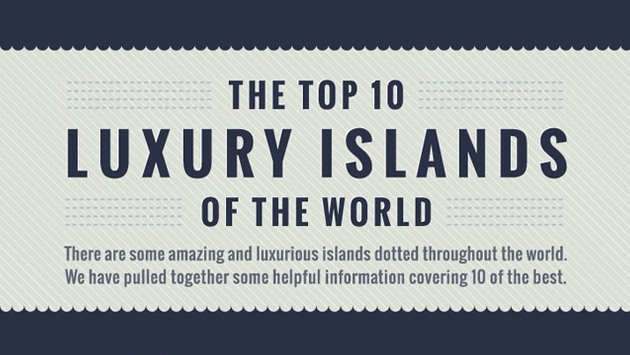 Whatever your Platonic ideal vision of a luxury island is, odds are good you’ll find it on this handy infographic, put together by Samujana. What do you want to do on your luxury island? Hit the Blue Hole Dive at Caye Caulker and check out exotic aquatics? Test your resolve at Bocas Del Toro’s Nivida Bat Cave Tour? Well that depends on what your luxury island is.